WorkCentre Pro 575 ei enää ole myynnissä uutena. Editors Choice Award for the WorkCentre Pro 575 advanced multifunction system in the Better Buys for Business 2003 Laser Fax Guide. 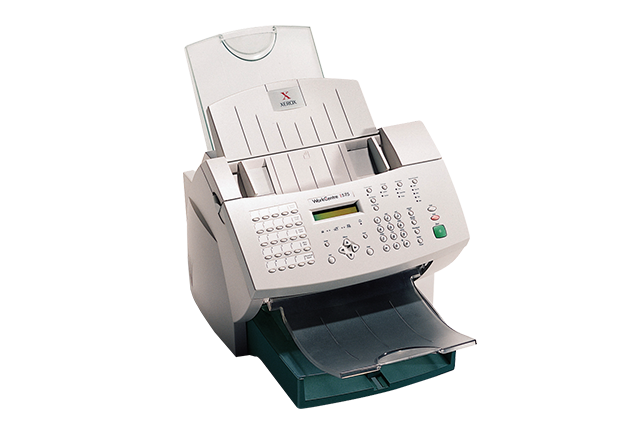 The Xerox Document WorkCentre PRO 575 is a multifunctional fax with good features. It has a fast standard 33,600bps modem and excellent compression up to JBIG. The memory is huge - 266 pages (3.2MB). 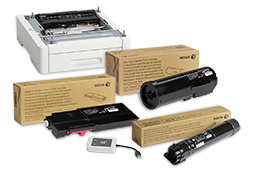 In addition, the quick scan and proprietary fast speed are both an excellent three seconds. The 8ppm print speed is good as is the 600dpi resolution. Scanning quality is also a good - 400dpi. There are a full range of other features, including reasonable speed dials. It can both initiate a relay broadcast and act as the hub. Other features include ID-coded access, confidential send, and a huge number of confidential mailboxes. Paper handling is reasonable, with a 30-page ADF and 250-sheet receiving tray, and a 500-sheet upgrade available. A large memory, fast transmission and unusual relay broadcast features help make this fax GOOD VALUE.